Are you making family vacation plans but can’t decide between coasts? SeaWorld® has three fantastic locations across the United States, so no matter which direction you take, you can enjoy the unforgettable experience this incredible chain has to offer. Heading to California? At SeaWorld® San Diego, you can get up close and personal with beautiful killer whales. If Florida is calling your name, watch the bottlenose dolphins play at SeaWorld® Orlando’s Dolphin Cove. Closer to Texas? Visit SeaWorld® San Antonio’s Sesame Street Bay of Play®. Whatever your vacation destination, fun at SeaWorld® is never out of reach! Nobody does thrilling aquatic shows better than SeaWorld®! Whether you’re dreaming of dolphins doing stunning tricks over the water or you want to watch majestic orcas soaking the splash zone, SeaWorld® shows will thrill the entire family. See the sea lions clown around on stage or expand your knowledge about sea animal rescue at the award-winning Sea Rescue show. Worried about crowds? You can now reserve your spot to guarantee you get the best seats in the house! Want more than sharks, otters, and penguins? Then hop on one of an array of thrilling SeaWorld® rides! 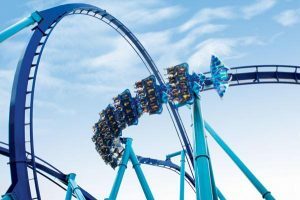 Get soaked while barreling down the rapids of Infinity Falls at SeaWorld® Orlando, ride the Steel Eel® hypercoaster at SeaWorld® San Antonio, or experience SeaWorld® San Diego’s tallest and fastest roller coaster, the Electric Eel! Are you visiting SeaWorld® with small children? There are rides for them too! Check out SeaWorld® San Antonio’s kid-friendly Shamu Express, a rollercoaster just for kids. Ride the Sea Carousel at SeaWorld® Orlando or bounce and bump as you take a spin on SeaWorld® San Diego’s mini-submarine ride, the Aqua Scout. Oceans of Fun at a Great Price! Hunting down the best SeaWorld® deals is like navigating an endless ocean. Don’t get marooned! Let aRes Travel help you find the best SeaWorld® ticket deals. Arranging a vacation through aRes Travel, you can focus on looking forward to your trip without all the stress and hassle that goes into the organization! 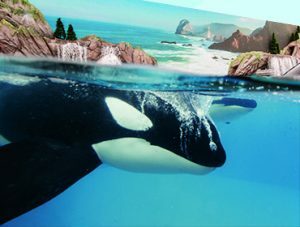 For exclusive SeaWorld® ticket deals, the best prices on hotels, packages and giant discounts on travel, call 1 (800) 434-7894 (international callers use +1 (619) 546-5622) to speak with an aRes Travel planning expert seven days a week, or book online now.